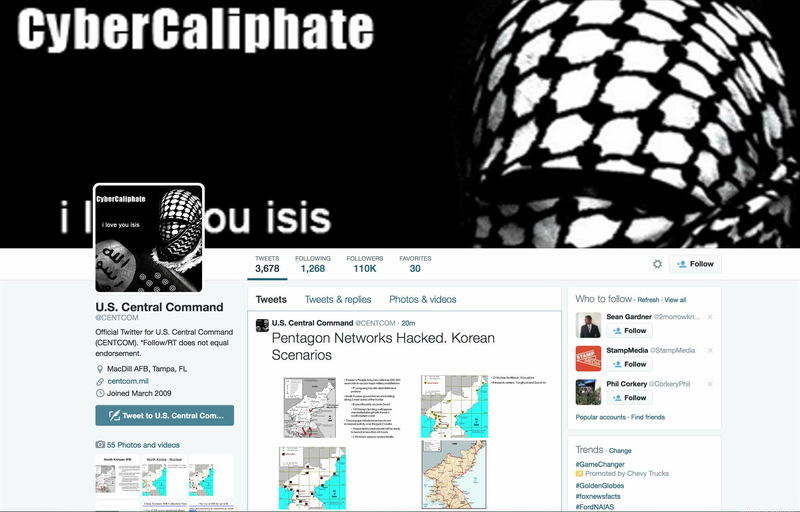 Self-proclaimed islamist hackers have breached some of the United States armed forces Central Command or CENTCOM networks, capturing data and hijacking its Twitter and YouTube accounts. The attack on CENTCOM took place this morning around 5:00am Australian time, and the hackers posted some captured data on the compromised Twitter account. 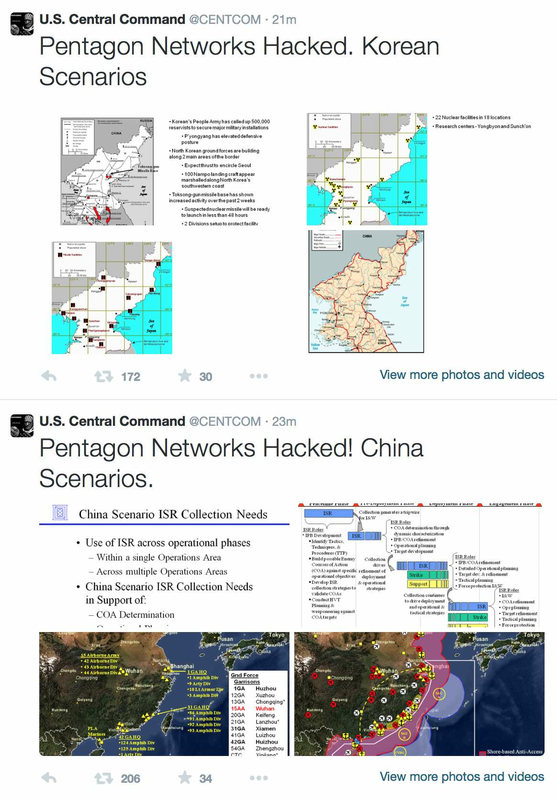 The hijacked CENTCOM Twitter account was suspended shortly after it was compromised. Links to the data, which the hackers said is confidential and captured from CENTCOM users' mobile devices, was also posted to Pastebin. According to Reuters, the hackers also published a list of of names and addresses under the heading "Army General Officer Public Officer (by rank) 2 January 2014". [Updated 13 January 2:30pm] While the hackers claim to have published data taken from CENTCOM internal networks, the documents in question appear to have been publicly available for some time, casting doubt on whether the perpetrators managed to penetrate the military networks in question. On the CENTCOM YouTube page videos appeared of US air strikes on apparent IS targets in Syria and Iraq. A statement was posted along the links, with the hackers claiming to be part of the Islamic State or ISIS extremist organisation that is currently fighting a brutal war in Syria and Iraq. A CENTCOM spokesperson confirmed that the breach had taken place and told iTnews that a statement is being prepared, but had no further information. iTnews will update the story when the statement is available. CENTCOM is the US military department responsible for deployment of forces in the Middle East, the Gulf states as well as Afghanistan and North Africa. Its main base is Fort MacDill Air Force Base in Tampa, but CENTCOM also has forward bases in Qatar.